The incidence of heart disease in pregnancy is 1% and it is the third leading cause of death in women of reproductive age group. Risk of maternal mortality ranges from 0 to 50% depending on the cardiac condition. 1. WHEN TO SUSPECT / RECOGNISE? The physiological adaptations of normal pregnancy can induce symptoms and alter clinical findings that may confound the diagnosis of heart disease. Heart disease should be suspected or diagnosed at booking for antenatal women. Heart disease may be suspected when a pregnant lady presents with symptoms of progressive dyspnea or orthopnea, nocturnal cough, hemoptysis, syncope or chest pain. When there are clinical findings like cyanosis, clubbing, distended neck veins, systolic murmur of grade 3/6 or greater, diastolic murmur, cardiomegaly, persistent arrhythmias, persistent split second sound, or pulmonary hypertension. Rheumatic Heart Disease (RHD) remains an important cause of heart disease especially in developing countries like India. A large number of women undergoing valve replacement surgeries on oral anticoagulants warrant specialized care during pregnancy and childbirth. With advances in paediatric cardiac surgery more women with congenital heart disease (CHD) are now surviving and reaching child bearing age. Ischemic heart disease is also on the rise as a result of increase prevalence of obesity, hypertension and diabetes in young adults and delayed child bearing. Maternal mortality is higher in conditions that restrict an increase in pulmonary blood flow especially pulmonary hypertension and mitral stenosis. The situation is at its worst 28 in Eisenmengers syndrome, where there is refractory hypoxaemia when the mortality is 25 to 50 %. Other cardiac complications associated with pregnancy include infective endocarditis, cardiac arrhythmias, development of cardiomyopathy. Fetal outcome in pregnancies complicated by maternal RHD is usually good although there is an increased incidence of growth restriction and preterm birth. The effects of maternal anticoagulant therapy with warfarin could lead to abortions, stillbirths in 7%, warfarin embryopathy in 8%of live born infants. Warfarin exposure in the 2nd and 3rd trimesters could lead to disharmonic growth of organs due to hemorrhage in the fetus and deformation from scarring leading to corpus callosum agenesis, Dandy Walker malformation, cerebellar midline atrophy, optic atrophy and blindness, microphthalmia, mental retardation and developmental delay. Anticoagulation may be indicated in certain cardiac conditions such as mechanical heart valves, atrial fibrillation and pulmonary hypertension. Fetal growth restriction and preterm birth are more common in pregnancies complicated by CHD with restricted maternal cardiac output, especially poor in cyanotic varieties when the fetal wastage rates may be as high as 40%. The etiology of CHD is multifactorial and incidence is 0.8 %. Incidence of CHD in the offsprings of parents with CHD ranges from 5 -10%. However, risk may be as high as 50% as in Marfan’s syndrome. Women may be aware of their cardiac condition before falling pregnant. An assessment of the patient’s clinical status and ventricular function are necessary to best predict the outcome of pregnancy. In more than 50% of women it is first diagnosed during pregnancy. A Cardiologist should be involved in initial assessment and followup. In some women, life threatening cardiac abnormalities can be reversed by corrective surgery and subsequent pregnancy is less dangerous. Women with conditions like pulmonary hypertension, severe left sided obstructive lesions, dilated aortopathy(>4cm) and severe systemic ventricular dysfunction should be counseled for early termination of pregnancy to avoid maternal mortality. Concurrent medical problems like infections, anaemia should be aggressively treated. Pneumococcal and influenza vaccines are recommended to avoid respiratory infections precipitating cardiac failure. Cigarette smoking and illicit drug abuses are prohibited to prevent cardiorespiratory side effects and infective endocarditis. Women with cardiac disease should be counseled regarding the risk of maternal death, possible reduction in maternal life expectancy, fetal issues, need for timely switch over of anticoagulant therapy, need for frequent hospital attendance and possible admission, intense feto-maternal monitoring during labour. vi. OPTIMAL DIAGNOSTIC CRITERIA, INVESTIGATIONS, TREATMENT & REFERRAL CRITERIA . Basic work up like complete blood counts, urine routine, blood grouping Rh typing, serology,VDRL, APTT, PT INR, scans for dating, aneuploidy screening qnd foetal anomalies. Nonivasive studies like electrocardiography, echocardiography and chest radiography with abdominal shielding can be conducted during pregnancy to support the diagnosis. Clinical Classification Schemes commonly used are that of NYHA and ACOG These classification systems are useful to clinicians to evaluate the functional capacity and to aid in counseling the woman regarding advisability of conception or continuation of pregnancy.  Class 1 Uncompromised. No limitation of physical activity.  Class II Slightly compromised. Slight limitation of physical activity.  Class III Markedly compromised. Marked limitation of physical activity. Most women with functional Class 1 and 2 go through pregnancy without morbidity. 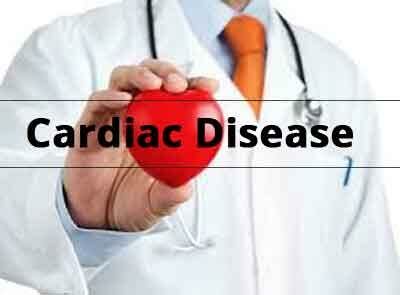 However, special attention should be directed toward both prevention and early recognition of heart failure. Indicators being cough, progressive edema, tachycardia, haemoptysis and basal rales. Empirical therapy with diuretics and beta-blockers could be hazardous, so opinion of cardiologist /physician should be taken. Vaginal delivery is recommended unless there is an obstetric indication for caesarean section.  Need for emergency valve replacement immediately after delivery Careful fluid balance should be monitored. Avoid supine position. A semi recumbent position with lateral tilt preferred. Monitor vitals pulse, respiration, BP, Oxygen saturation and intake output. Epidural analgesia by a skilled senior anaesthetist considering its hypotensive effect. Cut short 2nd stage of labour with outlet forceps or vacuum extractor to reduce maternal effort. Infective endocarditis prophylaxis is recommended preferably 30-60 minutes before the procedure. Either Ampicillin 2g or Ceftriaxone 1g is given iv ( ±1g vancomycin if Enterococcus infection is a concern) 600mg Clindamycin iv is recommended in cases of Penicillin allergy. Avoid methyl ergometrine which causes intense vasoconstriction, hypertension and heart failure. Instead use syntocinon for delivery of placenta. Close monitoring of cardiac patient should continue after delivery because early postpartum period is often a time of acute de-compensation. a) Super specialists in cardiology and anesthesia with in-depth understanding of each cardiac condition are available. c) Neonatologist with a well equipped NICU is available. d) Referral may be necessary for fetal echocardiography to plan neonatal care in advance. A clinical suspicion or recognition of cardiac disease based on history, clinical symptoms and signs as explained above is made. Basic work up as in any pregnancy like complete blood counts, urine routine, blood grouping Rhtyping, VDRL, serology, APTT, PT, INR, ultrasound for dating, aneuploidy screening, anomaly scan. Fetal echocardiography when indicated depending upon the risk of transmission. If indicated, cardiac catheterization can be performed with limited x-ray fluoroscopy by an interventional cardiologist. Clinical Classification Schemes commonly used are that of NYHA and ACOG. These classification systems are useful to clinicians to evaluate the functional capacity and to aid in counseling the woman regarding advisability of conception or continuation of pregnancy. Severe mitral stenosis is associated with a higher risk of pulmonary edema. Both beta blockers and balloon mitral valvotomy are safe in pregnancy. Pulmonary edema should be treated in the usual way with oxygen and diuretics. Women with prosthetic heart valves on oral anticoagulants will need replacement with heparin in early pregnancy between 6 to 12 weeks, to prevent embryopathy. Again warfarin should be discontinued and replaced with heparin at 35-36 weeks to allow clearance of warfarin from the circulation. Heparin is discontinued 4-6hrs before delivery and regional anesthesia to minimize risks of obstetric hemorrhage and spinal hematoma. Intravenous heparin is restarted 6 hrs after vaginal delivery and 24 hours after a caesarean section. Warfarin is usually started the night after delivery provided there are no bleeding complications and heparin is continued until an INR of 2 or more is achieved. In an emergency situation VitK or fresh frozen plasma can be used to reverse warfarin anticoagulation and protamine sulfate for heparin anticoagulation. Vaginal delivery is recommended unless there is an obstetric indication for cesarean section. 1. Await spontaneous onset of labor and induction of labor should be very judiciously attempted to minimize risk of intervention thereby hemorrhage and infections. 3. Avoid supine position. A semi recumbent position with lateral tilt is preferred. 4. Monitor vitals – pulse, respiration, BP, Oxygen saturation and intake output. 5. Epidural analgesia is administered by cardiac anaesthetist judiciously based on the cardiac hemodynamics, as it causes hypotension. 6. Cut short 2nd stage of labor with outlet forceps or vacuum extractor to reduce maternal effort. 7. Infective endocarditis prophylaxis to be given with broad spectrum antibiotics. 8. Avoid methyl ergometrine which causes intense vasoconstriction, hypertension and heart failure. Instead use syntocinon for delivery of placenta. Epidural anesthesia is preferred by most clinicians. Hypotension can be very hazardous with pulmonary hypertension or aortic stenosis , when narcotic conduction analgesia or general anesthesia may be preferable. Risk factors include multiparity, multiple pregnancy, hypertension, increased age. a) Development of cardiac failure in the last month of pregnancy or within 5 months after delivery. b) Absence of an identifiable cause for the cardiac failure. a) Fluid and salt restriction, treatment of hypertension, routine exercise postpartum if stable. b) Drugs like digoxin, beta blockers, diuretics, vasodilators may be used. c) In selected patients’ aldosterone antagonists, inotropes, anticoagulation, implantable defibrillators, biventricular pacing, cardiac transplantation may be the last resort. Prognosis and recurrence depends on the normalization of left ventricular size within 6 months of delivery. Even in a metro situation a multidisciplinary specialist team with skill and facilities may not always be available under one roof. In such instances referral may be required to an optimal setup under one roof for best feto-maternal outcome.